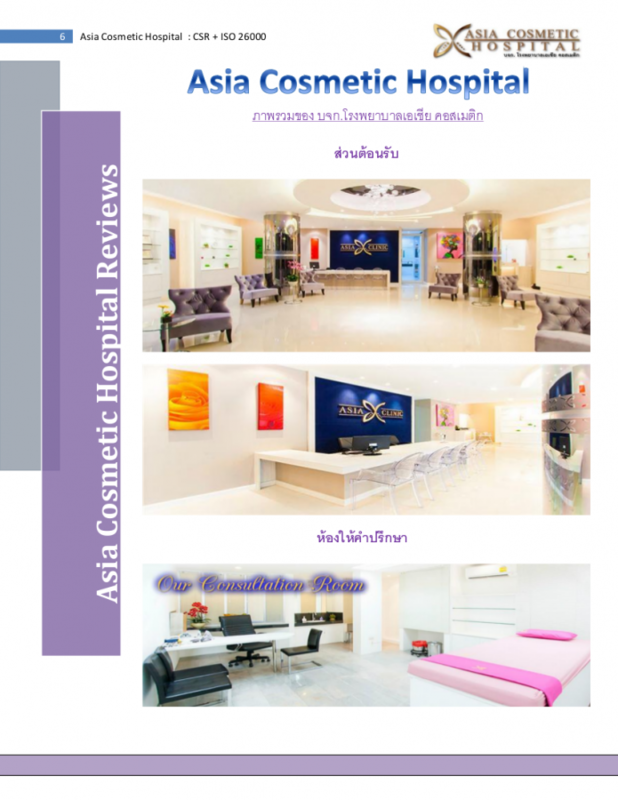 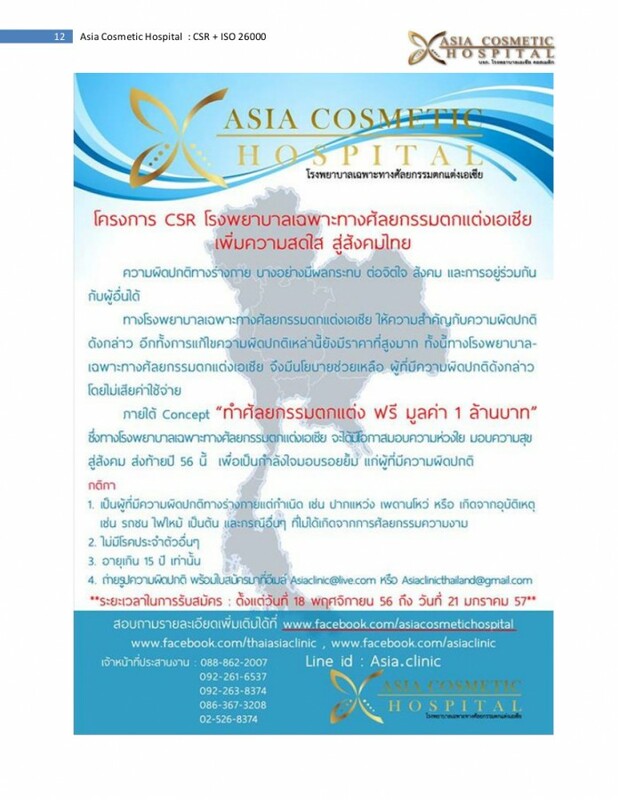 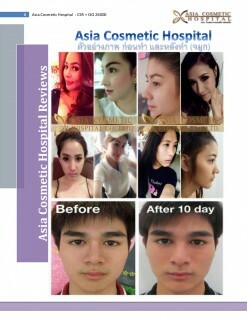 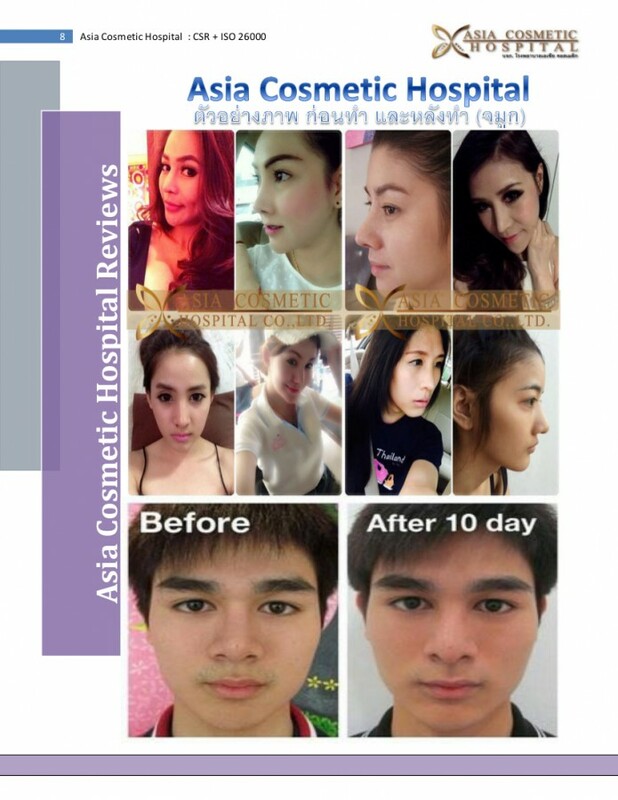 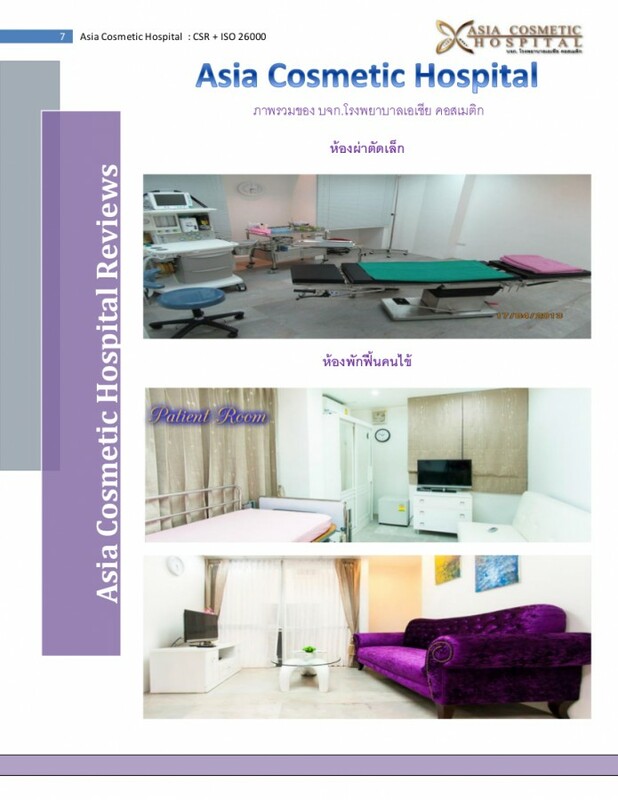 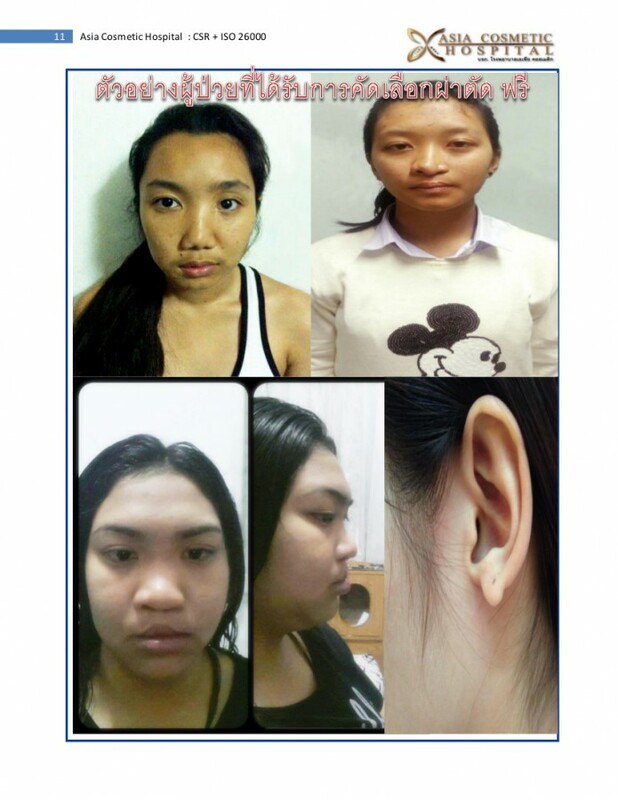 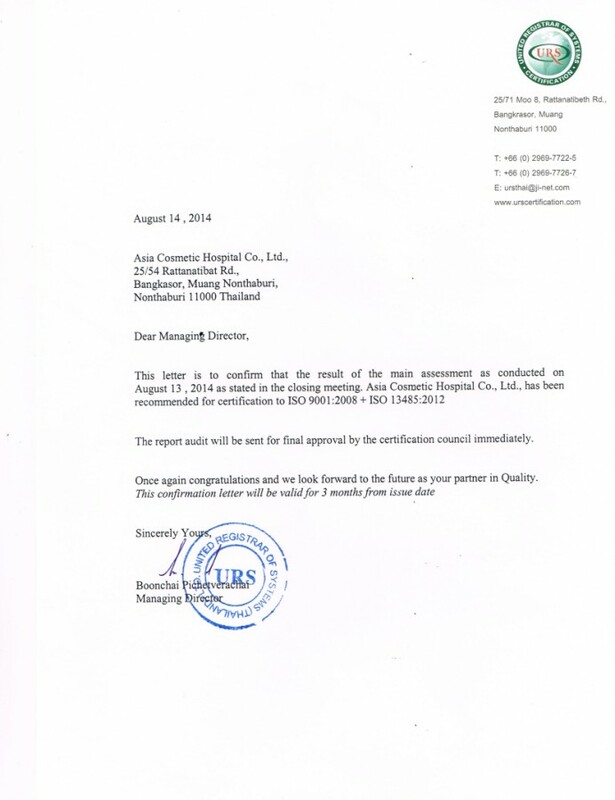 Asia Cosmetic Hospital is providing a plastic surgery services to patients such as minor surgery , Rhinoplasty, chin implant, etc., or major surgery such as sexchange from male to female or male to female , breast implants etc., . 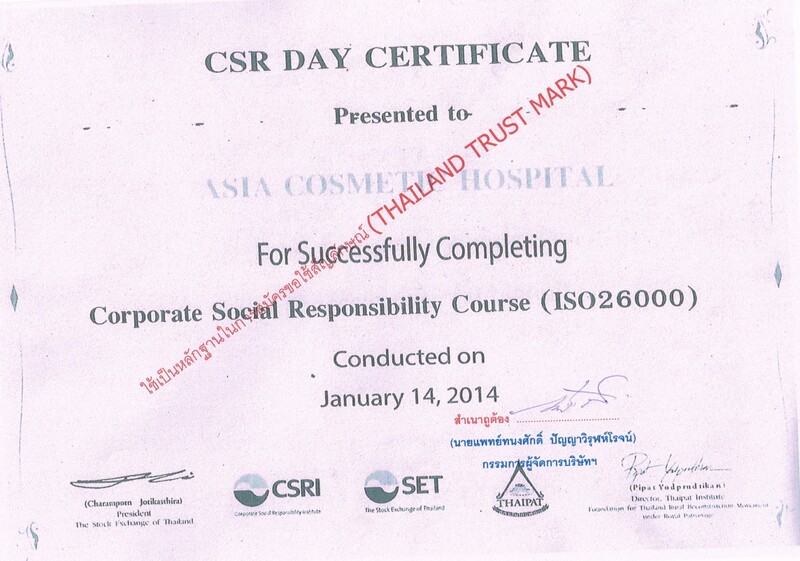 Also we have CSR project for the physical disability every year. CSR project - FREE surgery 1,000,000 THB for cleft lip and palate people. 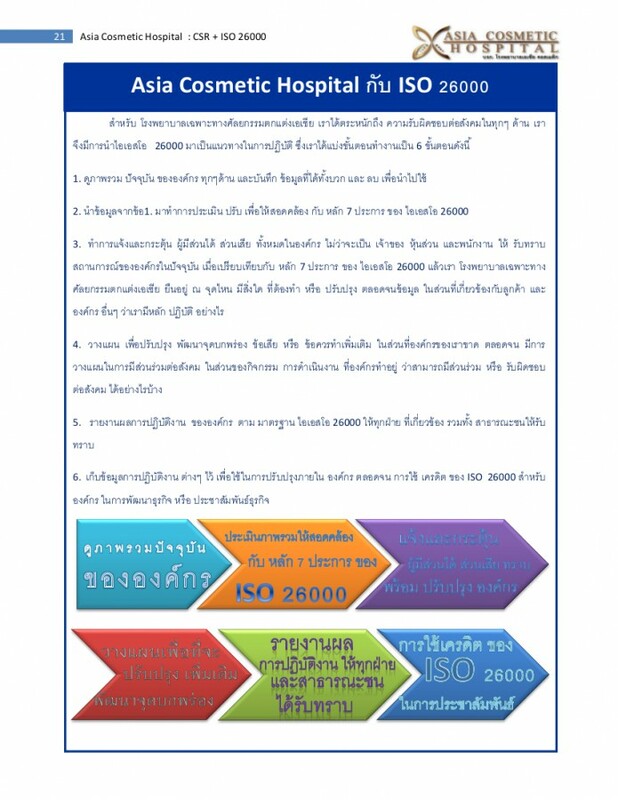 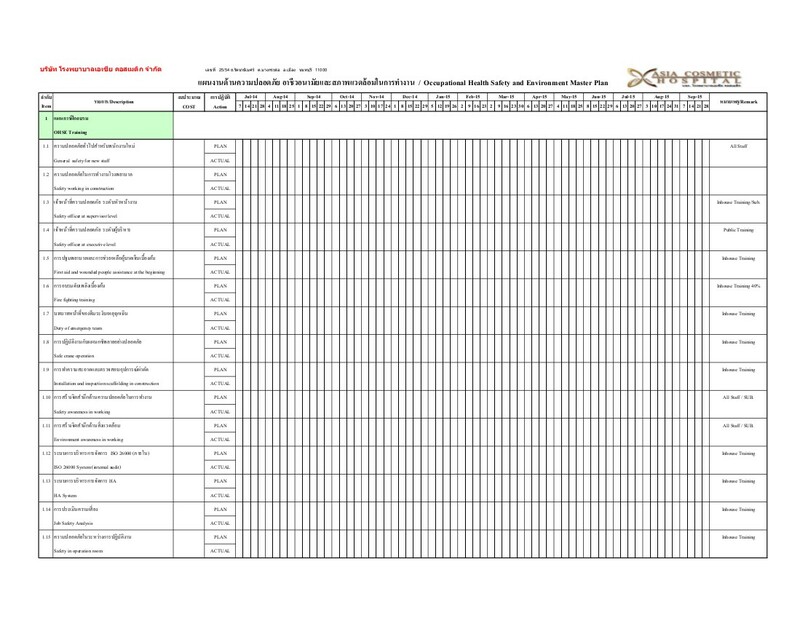 We are planing to do this project every year. 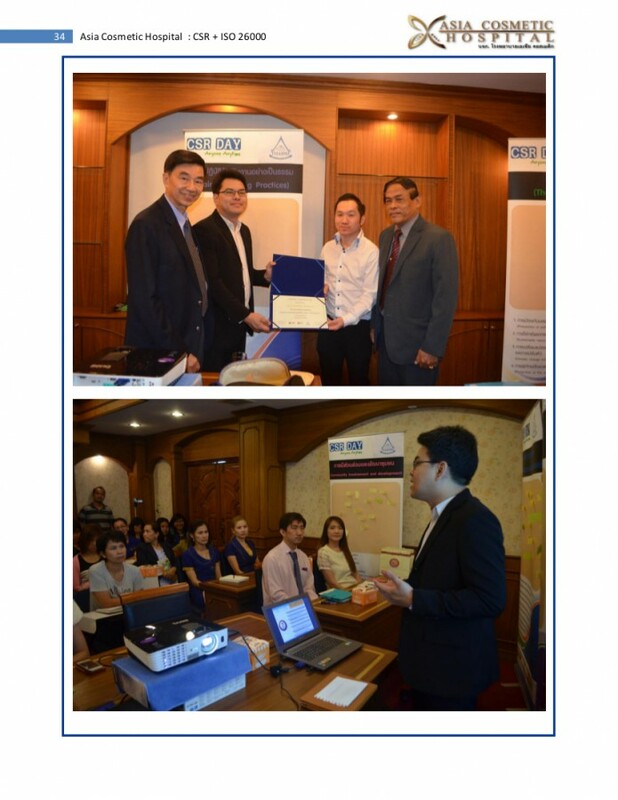 The first project was 2014.